Hello ladies! Thank you so much for the overwhelming response on my post on the Viva Glam Nicki lipsitick. Since I got the lippie I've been wanting to recreate Nicki's look in the promo ad for MAC Viva Glam toger with Ricky Martin. AHH! I like it, you did a great job recreating it actually and that palette actually worked out nicely for doing the look. I think you made this look awesome! Good job! the colors look really vibrant and exactly the same! awesome!! Looks lovely! I'm tempted to recreate this look myself! Great look. shh, but I think it suits you more than it suits minaj! i think you did a great job, especially with the colors you had to work with! 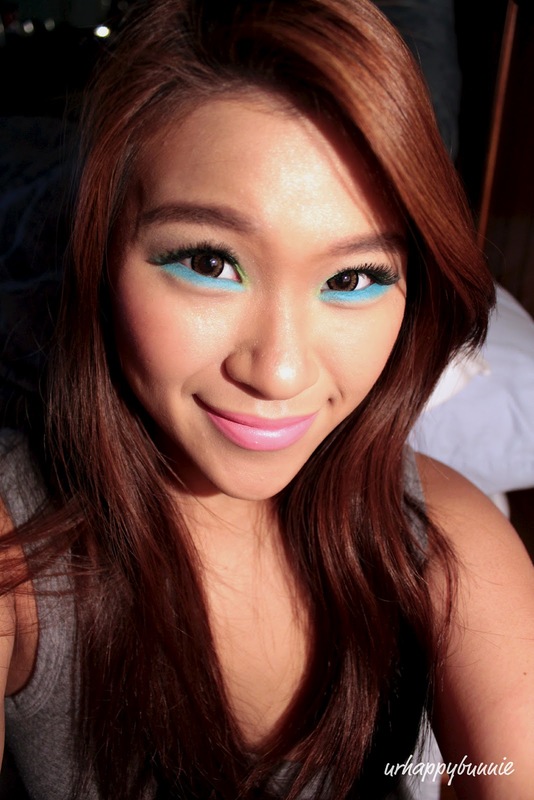 Wow impressing makeup, it looks fantastic on you! Thank you for leaving a comment on my blog! Well you did an awesome job girl :D it's so beautiful! Thanks for your comment!! Love that post and you have a great blog. Do you wanna follow each other? Great look! I love it. Very pretty look! the lipstick looks fantastic on you! Wow such a stunning look!!!! That looks awesome great job re creating her look! oooh how many colors! this is a dream! Ahh I love this! You actually do look a little bit like her! Great look! I'm hardly a fan of Minaj, but you make her look so much more classy! Good for real life, certainly. Hey, lovely! Thanks for stopping by. You did an awesome job recreating Nicki's look. Love the colors! They look great on you. Soo lovely , really nice! it looks almost identical! good job! 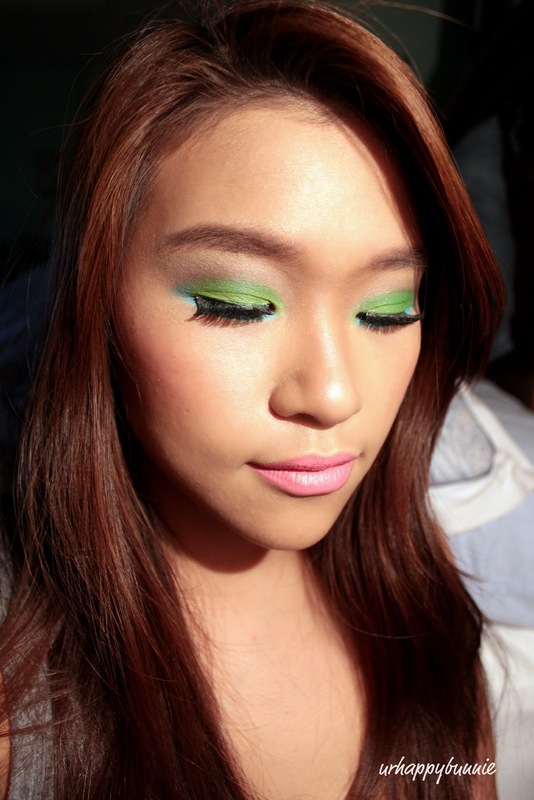 Such a fun look, I like the bright colours! wow, you did such a great job...its soo fun!! Thank you,I follow you too now.Great make up and your header is pretty cool! ooh love the makeup, you make it look so fun and flirty! Wauw!! Such a great look!! Gorgeous make-up! You look pretty! So cool! I love your eyes make'up! You did a great job! 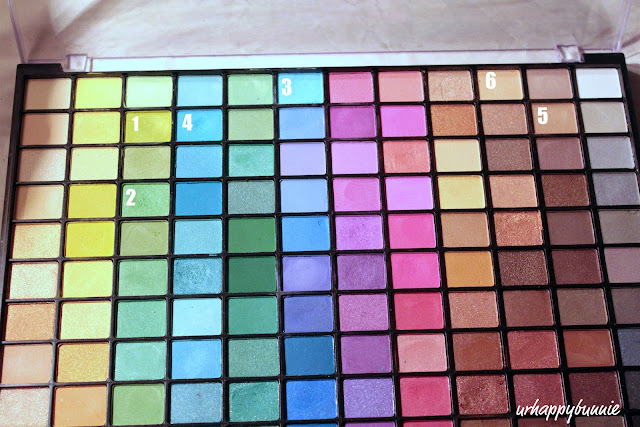 I didn't think that palette was pigmented. Now, I want one. And Viva Glam Nicki looks really nice on you. this looks great!!! I definitely want to try this! Your look definitely looks awesome! Great job!! You look so pretty, and the make up looks awesome!